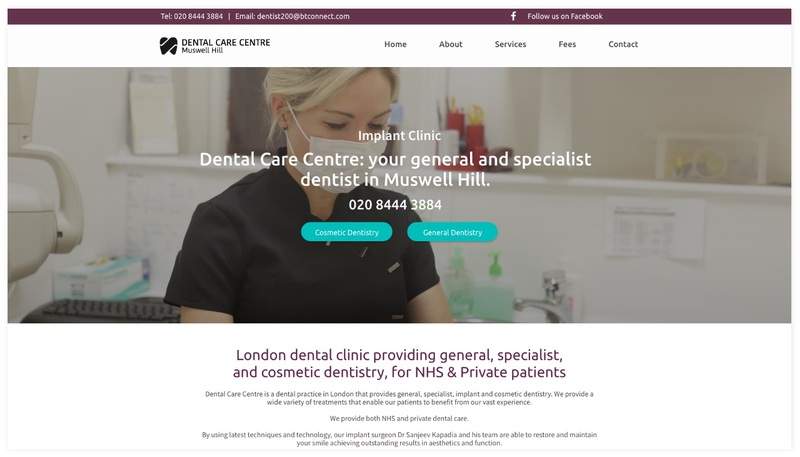 Dental Care Centre in Muswell Hill is a London dental practice catering for both NHS and private patients. They had previously had a website built by another agency, but the site was not secure or SEO friendly. It didn’t reflect the size of the business, or the quality of the work that they provided. The website was found to be ineffective and didn’t fulfil the primary goal of generating enquiries. Dental Care Centre chose to work with us due to our expertise and track record within the dental sector. 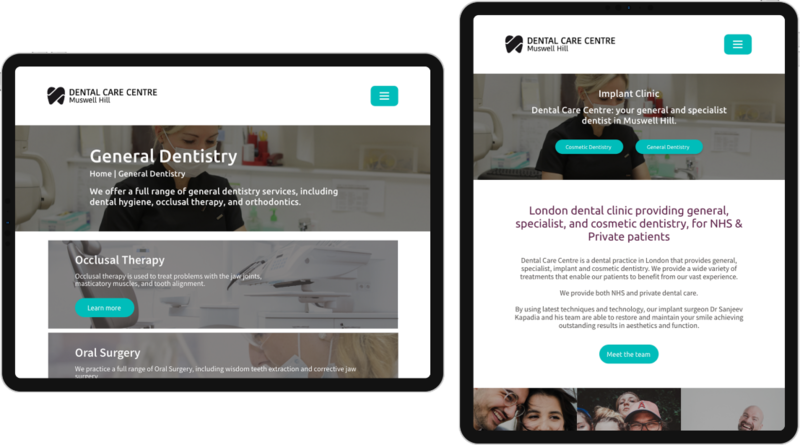 They wanted a new website that would help them to generate new qualified leads, supported by pay per click Google Ads, with a focus on their primary service of dental implants. Initially, we conducted a Discovery session with Dental Care Centre. We learnt everything we could about the business, including where it had been, where it currently was, and where it wanted to go in the future. This helped us to established the primary objectives of the new website. As always, we went through our thorough process of creating wireframes for each page on the website. This allowed us to understand the architecture before we went into the design and build stage. 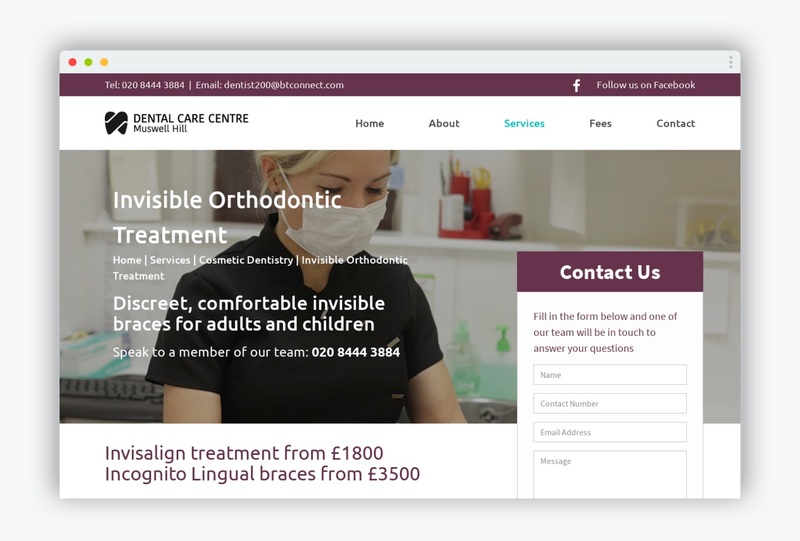 In order to fulfil the primary objective of generating leads for the practice, we wanted to make sure that the website was fully optimised for Google Ads. We created strong landing pages with embedded enquiry forms to make the most of every single click. 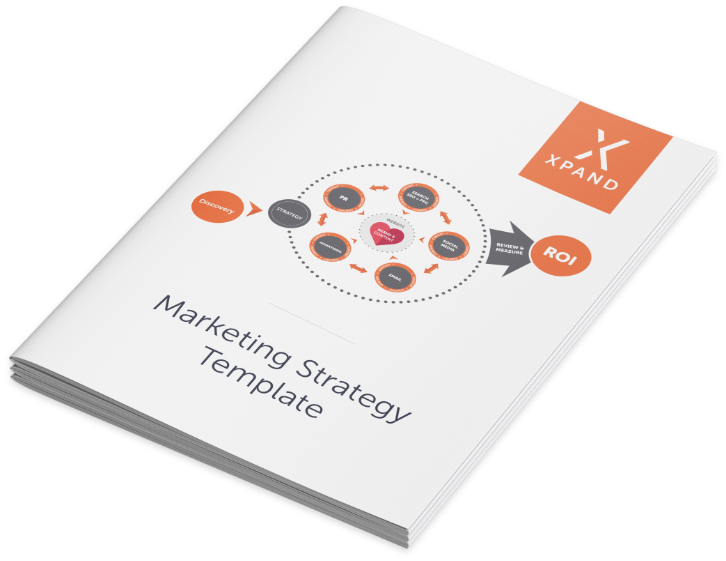 Xpand has been fantastic with helping me create a cutting edge website and marketing for my Dental and Implant practice in North London. The process from the start has been very professional and slick. I would recommend the team to dentists and other businesses who are looking to create or update their website or marketing. Immediately after setting the website live, the client began to see a steady stream of enquiries from organic search. We continue to run PPC campaigns on behalf of the practice, directing warm leads back to the landing pages and seeing a consistent return on investment. If you’re looking to grow your dental company, we can help. Let’s talk.